I checked my bees the other day. They are multiplying at a rapid rate and several of my frames are filled and waxed off, so I added 10 more frames to the lower blue super so they can continue doing their thing. The top two supers are hollow right now, I've removed the frames from both of those so that I can store their food in there. There is only so much you can learn in a class, especially if you are a "hands-on" kind of learner, like myself. I would have to say I've actually learned more since I've started beekeeping then what I absorbed from my class. Here is an example of that. A few weeks ago I posted the above photo. I saw comb forming, so I was excited. I mean isn't that what bees are supposed to do? 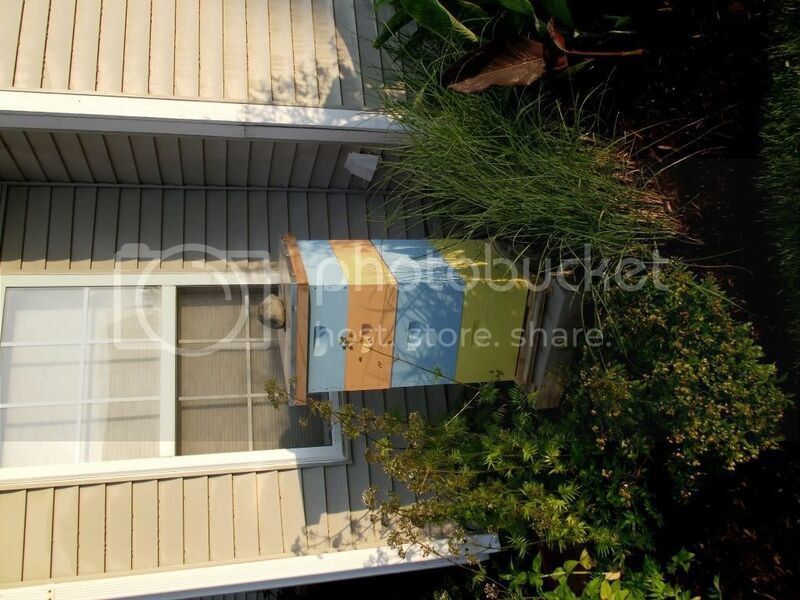 ....Well, as it turns out, this is what you call a "violation of bee space". 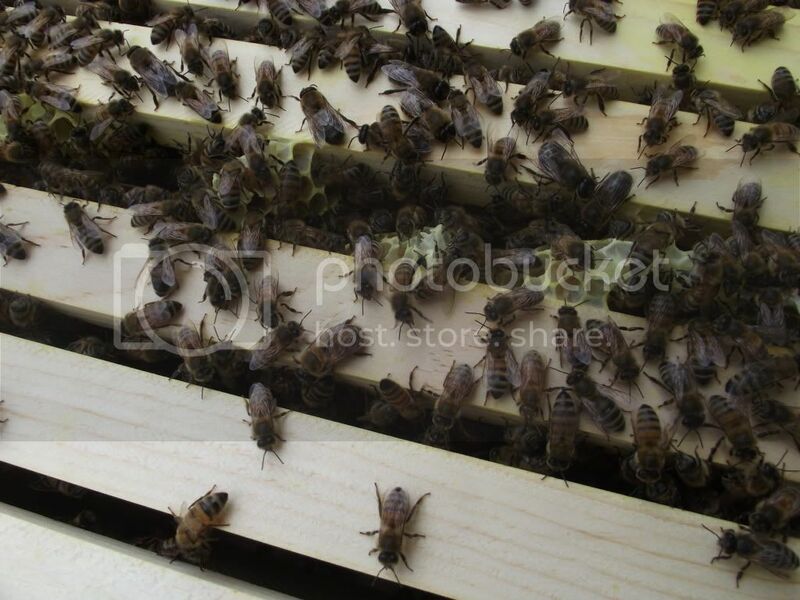 Since taking this photo, I've learnedthat if your frames aren't pushed together as tight as they will possibly allow, then bees will create this comb in the open space, which leads to crowding in the hive. Now that I know this, it's been removed, and from now on, I'll make sure that I press my frames together tightly. I wasn't going to let this comb go to waste though. ...So, I sampled it later on a baguette and it was delicious. While checking the bees, I wasn't able to locate the Queen but I have evidence that she's in there so for now, I'm going to assume that she's in there and I just must have missed her. Beginning beekeeping is keeping me on my toes.